T-Mobile USA has officially confirmed what unofficially has been the talk of the town--the debut of the first Google Android based mobile phone. The T-Mobile G1 is made by HTC (the device was code named the HTC Dream) and was introduced this morning at a press conference in NYC. While this is the first Android device to be announced there should be many more following. The G1 is a T-Mobile exclusive (both USA and Europe). The G1 will retail for $179 with a 2-year contract when it starts shipping on October 22nd. Current customers can order online and the G1 will be delivered when it's launched. Like the iPhone, the G1's service agreement requires a data plan. Unlimited data with 400 messages runs $25 monthly while unlimited data and unlimited messaging will cost $35 monthly. Since it's a 3G device the phone will only be made available in T-Mobile's current 3G markets. You can use T-Mobile USA's coverage search tool to find out if your area is 3G or not, though the number of markets should be expanding rapidly. The G1 will not be available without a contract or via pre-paid service. It's June 29th and Apple is finally ready to let the public play with the iPhone. The past six months have shaped up to be the highest profile mobile phone launch ever, Apple has conjured up an amazing amount of buzz for a device that only a handful of people have actually held. While the early adopters are busy waiting in lines across the country to be the first iPhone users, others are busy betting (real money!) on what bugs will be found. AT&T came out in support of its EDGE network today amid heavy criticism from the first round of iPhone reviews. The combination of a "2.5G" data technology and a HTML/CSS compatible browser can mean some heavy wait times (expect about a minute to render a complex page like nytimes.com). 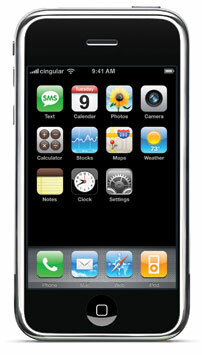 Most phones, even many inexpensive models, from competitors Verizon Wireless and Sprint ship with 3G data support. Apple has not announced how many units it has on hand, but analysts believe it's around 3 million. Steve Jobs noted that Apple has "built factories to build these things" so supply may not be an issue despite the lines outside stores. Apple employees are set to get free iPhones starting in July. Get it tonight starting at 6PM. If you're an early adopter and would like to share your iPhone impression with us, get in touch. Update: After getting a chance to sit down with the iPhone, our first take is that it's a big step forward in the industry and should help force all the major players in the space to focus on software and user experience. There are a number of serious limitations with the iPhone, but it's a solid first try and we're excited to see future revisions. CTIA 2007 -- Verizon Wireless has launched its second MediaFLO mobile TV handset, the LG VX9400. Mobile TV has been a major talking point at the CTIA conference and LG has been showing off the VX9400 proudly. Sporting a unique form factor (the screen swivels into landscape orientation) and MediaFLO, the device is designed to work with V Cast TV. Because of the TV technology, Verizon Wireless will keep an exclusive on this handset. It's available now for $199.99 with a 2-year contract. Note: V Cast TV is only available in select markets, but the list is expanding. CTIA 2007 -- One of the more interesting new devices at CTIA is the Samsung UbiCell base station. A small white box that looks like a WiFi access point, the UbiCell is actually mini cell tower designed for CDMA 1x networks. The device connects to a mobile network through a broadband connection and is designed to provide enhanced cell coverage for the home. Unlike UMA technology, nothing special is needed for mobile handsets to take advantage of the base station. Samsung will be distributing the UbiCell through Sprint, though other versions (such as GSM) may appear on other carriers. Sprint should begin selling the UbiCell in the Summer. Pricing is unknown but will be geared towards consumers. CTIA 2007 -- During a keynote speech at CTIA, an AT&T executive noted announced that it has collected information from a million people who want to be contacted when the Apple iPhone begins shipping in June. The company isn't taking pre-orders, so it's hard to tell if the demand is from probable (and able) buyers or not, but AT&T seemed pretty pleased at the number. Apple hopes to sell up to 10 million of the advanced devices. The same keynote presentation included the only appearance of the iPhone at CTIA. It was only for a few seconds, but attracted more photos and attention than any other part of the presentation. Apple's secretive approach to marketing is at least successful in terms of producing buzz. CTIA 2007 -- SanDisk, in conjunction with Verizon Wireless, has announced a 4GB microSDHC card. microSDHC is the new High Capacity (HC) version of microSD, more information on that is available below. 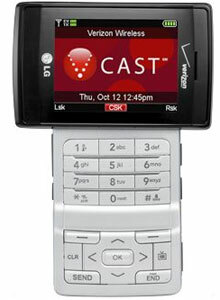 Two Verizon Wireless V Cast handsets are already compatible with the new standard, the LG VX9400 and LG VX8700. According to SanDisk, 4GB is enough for 4,000 photos or 16 hours of video. It also matches, in storage terms, one of the iPod nano configurations. Verizon Wireless will launch the new 4GB card exclusively on May 1st. The retail price is just $129.99. It's not known when the card will hit other channels. CTIA 2007 -- LG has become the latest mobile phone manufacturer to partner with Google. The handset maker will begin to introduce new models that come pre-installed with Google applications such as Google Maps, Gmail and Blogger. There will also be one click access to Google's search site via an icon on the home menu. The phones, estimated to be 10 models, will ship throughout Asia, Europe and North America starting in the second quarter. There is widespread speculation that Google itself is working on a mobile phone, but the search engine giant is only experienced with software and many analysts believe would be better off providing software for existing handsets. Prior to todays LG news, Google had inked deals with other major mobile players like Motorola, Nokia and Samsung. CTIA 2007 -- The Sony Ericsson Z750 is a new HSDPA handset targeted at North America. What that really means, though not technically announced, is it's destined for AT&T (Cingular). While the 3G connectivity is surely big news (it's Sony Ericsson's first HSDPA phone for North America), the Z750 is also one of only a few consumer focused handsets to support Exchange ActiveSync push email. 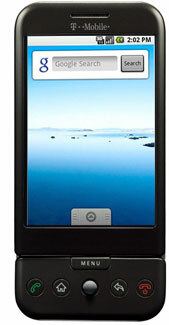 In addition, the Z750 is Sony Ericsson's first handset based on the Java Platform 8. That should make it easier for developers to create innovative applications. The Z750 should begin shipping in the third quarter. It's available in two color schemes, rose pink (shown right) and phantom grey (shown below). CTIA 2007 -- The Sony Ericsson W580i is the latest Walkman music phone for the North American market. With yet another music announcement, CTIA's first day has a very familiar feel. The W580i builds on the Walkman platform which has so far been the most successful line of music handsets. The Sony Ericsson W580i will ship in two color combinations, white (shown right) and grey (shown below). It will begin shipping in Q3. Carrier partners have not been announced, but AT&T or T-Mobile would be likely candidates. CTIA 2007 -- The music phone battle is heating up, AT&T (formally Cingular) has announced it will be giving away 1 year of unlimited Napster To Go service ($180 value) with the purchase of a SYNC or BlackJack. The subscription covers unlimited playback of the over 3 million tracks in Napster's catalog. AT&T will begin this deal on April 1st. It's also available to existing AT&T customers if they sign up for one of the bundled service packages (covering home phone and broadband). The SYNC is currently priced at $49.99 after rebate while the BlackJack rings in for a more hefty $199.99 after rebate. In a related move that also occurred this afternoon, Sprint Nextel announced lower pricing for its wireless music store. To read our past content, use the MobileTracker archives.